Santa received a magical transformation from Clement C. Moore in The Night Before Christmas, becoming the jolly, good-hearted man we know today. Maintaining some of the original St. Nicholas lore, he was inspired by an early European belief that both good and evil spirits were active during the Twelve Days of Christmas,ii to form a magical band of elves to keep watch over children throughout the year. It’s fair to say that the current transformation underway in the insurance industry is as dramatic as Santa’s evolution from a stern task master into a “jolly old elf”. Carriers are stretching their technological expertise from ancient legacy systems toward top-grade digital expertise. Step by step, insurers are evolving into digital operations designed to meet the changing needs of their customers, and it’s a process that would earn them top marks from the man at the North Pole. If we were able to see Santa’s list for this Christmas, we’re sure that insurers would make the “nice” list for their efforts to improve digital capabilities and product selection in distribution. iGrossman, John. 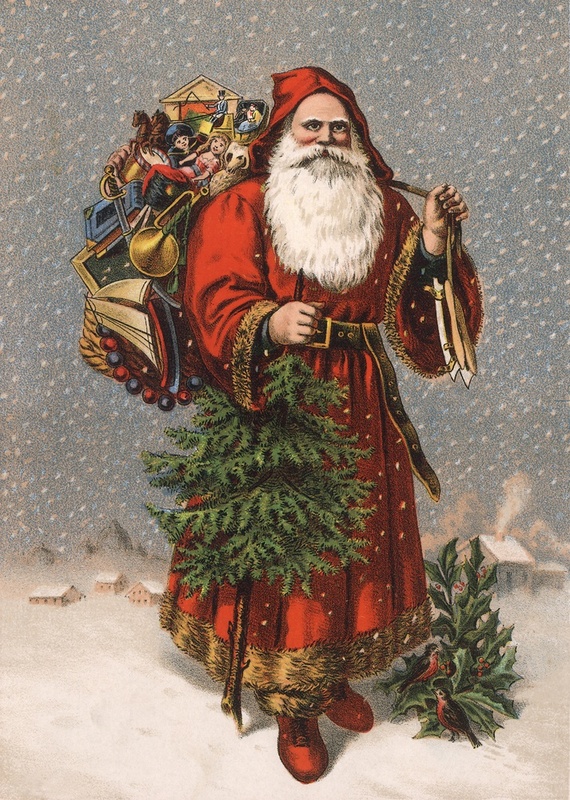 Christmas Curiosities: Odd, Dark, and Forgotten Christmas. New York, NY: Stewart, Tabori & Chang, 2008.
iiGulevich, Tanya. Encyclopedia of Christmas. Detroit, MI: Omnigraphics, Inc, 2000.
iiiPan, Kai, Chai Gohil, Nigel Dally, and Brian Nowak, CFA. North America Insight: Digital Disruption in Small Business Insurance. Rep. Morgan Stanley, 29 June 2016. Web. ivJ.D. Power. News. Large U.S. Auto Insurers Drag Industrywide Customer Satisfaction Down Due to Price Perception, Says J.D. Power. Jdpower.com. J.D. Power, 20 June 2016. Web. vJ.D. Power. News. Insurance Provers Focus on Customer Experience as Rates Remain Relatively Stable, J.D. Power Study Finds. Jdpower.com. J.D. Power, 19 Sept. 2016. Web.